Plessey Semiconductors, a leading developer of award-winning optoelectronic technology solutions, today announced a strategic partnership with Jasper Display Corp (JDC). 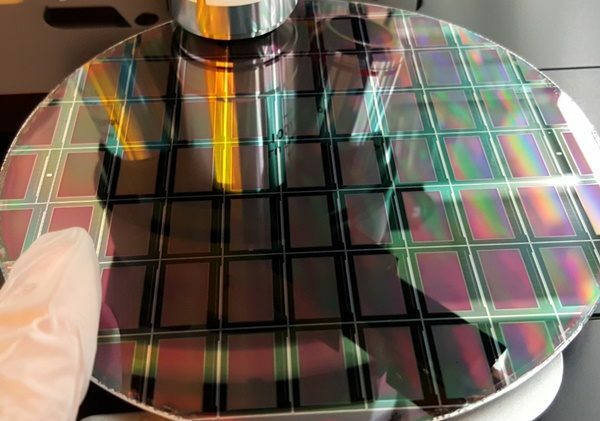 Plessey is going to utilise JDC’s innovative silicon backplane to drive its own monolithic microLED displays manufactured on its proprietary GaN-on-Silicon (GaN-on-Si) wafers. Unveiled by JDC earlier this year at CES in Las Vegas, the eSP70 silicon backplane is tailored for the needs of microLED devices. The full colour capable active matrix backplane features a resolution of 1920×1080, a pixel pitch of 8µm and offers excellent current uniformity via a proprietary current source pixel as well as flexible addressing. Making displays brighter for today’s portable AR and VR battery-powered devices is increasingly challenging. Using existing technologies which require high power output is a serious design limitation as the compact devices have limited space to house on-board power sources. By utilising JDC’s eSP70 backplane, this will allow Plessey the flexibility to utilise its GaN-on-Si platform for microLEDs, delivering very high brightness with moderate power consumption or run with low power while maintaining daylight usable brightness levels. MicroLED technology is fast emerging as the only viable technology to provide high luminance in a very small form factor with minimal energy consumption, necessary for reducing costs and enabling lightweight battery-powered AR/ VR/ MR/ HUD applications. Challenging existing display technologies like LCD and OLED, Plessey’s monolithic microLED technology offers extremely low power, high brightness and very high pixel density combined to create the potential for disruption in many existing application areas and create entirely new ones. Jasper Display Corp. (JDC) is a fabless semiconductor company based in Taiwan with R&D in Santa Clara, California and offers leading Spatial Light Modulators (SLM), LCoS and μLED microdisplays, and digital modulation controller ICs. JDC provides its X-on-Silicon partners with the backplanes and expertise required to create the next wave of optical innovation.